Search engine optimization is highly crucial to run a successful website or a blog. Want to boost your website’s search engine presence? Want more SEO traffic? No problem! But where do you start? How do you optimize your website if you don’t know where to start and what things need to be fixed? 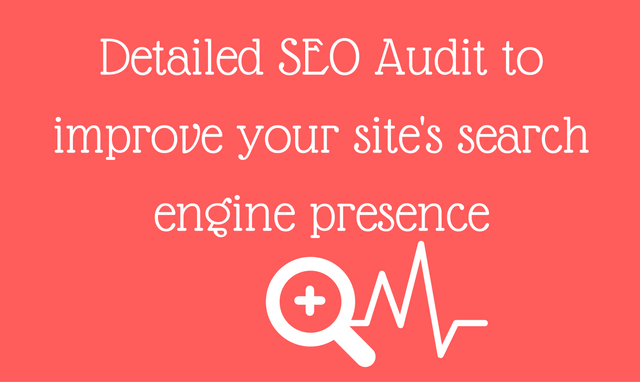 Here’s where my detailed SEO audit service will come to your rescue. 1. Digging on the search engine visibility of your website – what keywords are you currently ranking for, what keywords have you improved, lost and so on. 2 A backlink report – that gives the backlinks you currently have. 3. Competitor analysis – A similar analysis for any of your competitor (if you already know one, you can tell me before I start the audit). If you don’t know your competitor, I will dig out your competitors, provide you with a list and then dig on their keywords (two competitors from the list). 4. I will also do a domain vs domain snapshots (for you and your competitor) for keyword, traffic and other comparisons. 5. 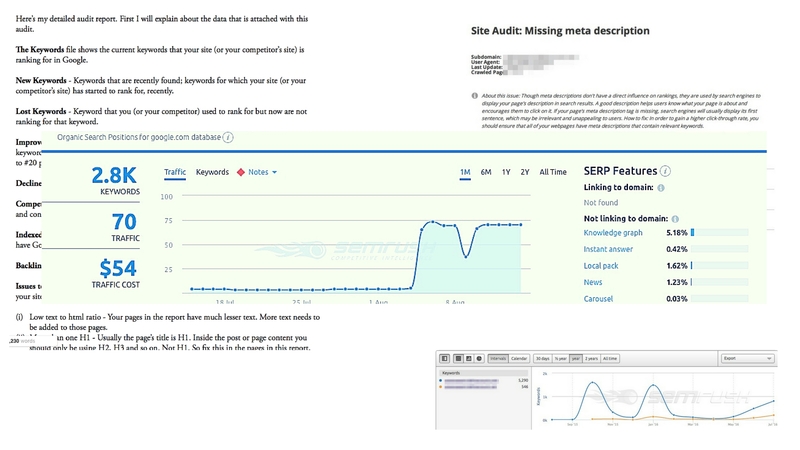 I will do a full technical audit of your website and provide you with the reports that have issues to be fixed (I will tell you how to fix them). 6. Based on the technical and context analysis, I will provide you with my personalized, tailored-for-you action steps to improve your search engine presence.